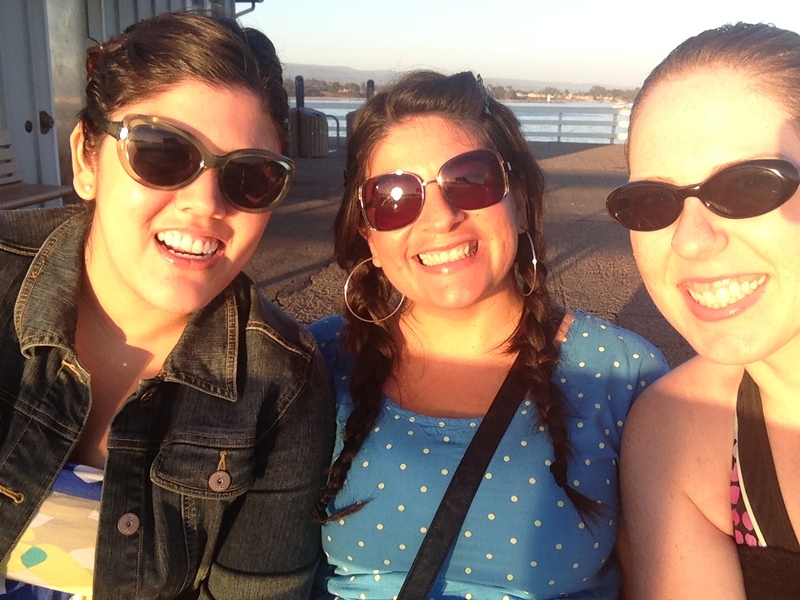 A few weeks ago, my friend Karen and I decided to get out of town and visit Rose up in Santa Cruz. It was a journey that we had tried to make happen since she moved up there in May, but conflicting schedules made it impossible. 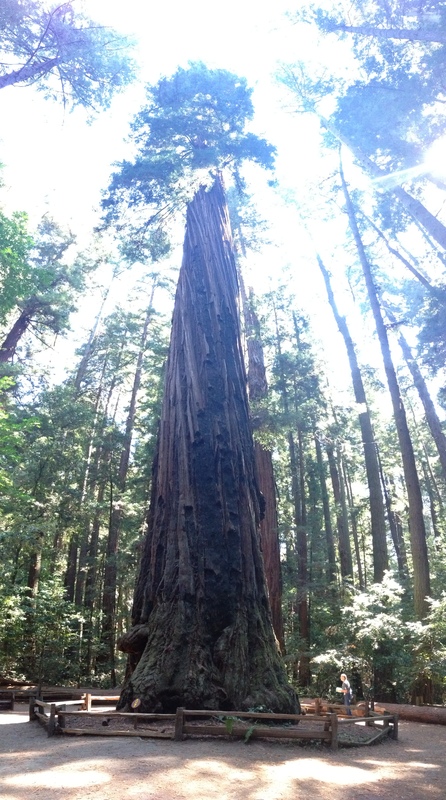 Finally, after a human sacrifice and the proper alignment of the planets, we found ourselves driving up the 101 Freeway bound for Northern California. 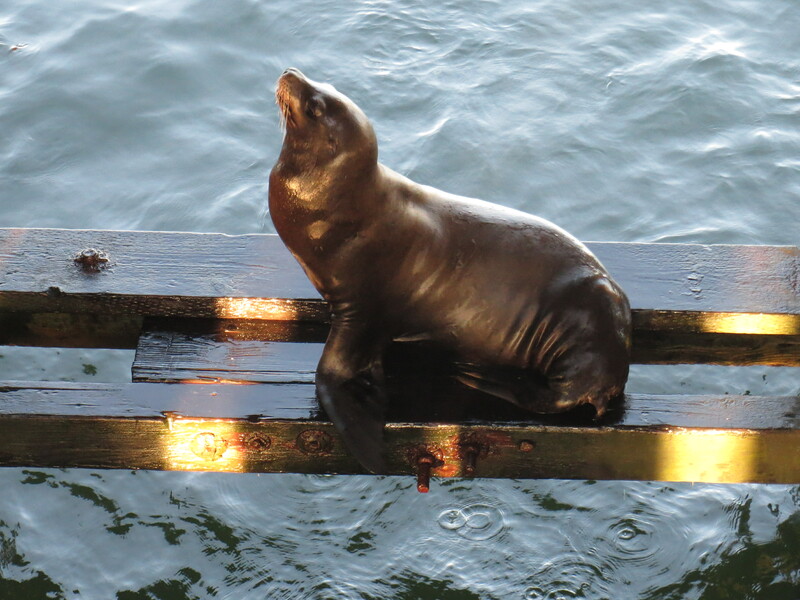 I had never been to Santa Cruz so I was incredibly excited about this trip. Rose had planned several activities that she thought we would be interested in and I quickly realized there was no way we could do it all in the weekend we were there. Arriving after a long drive, we were greeted by Rose and one of her new friends. 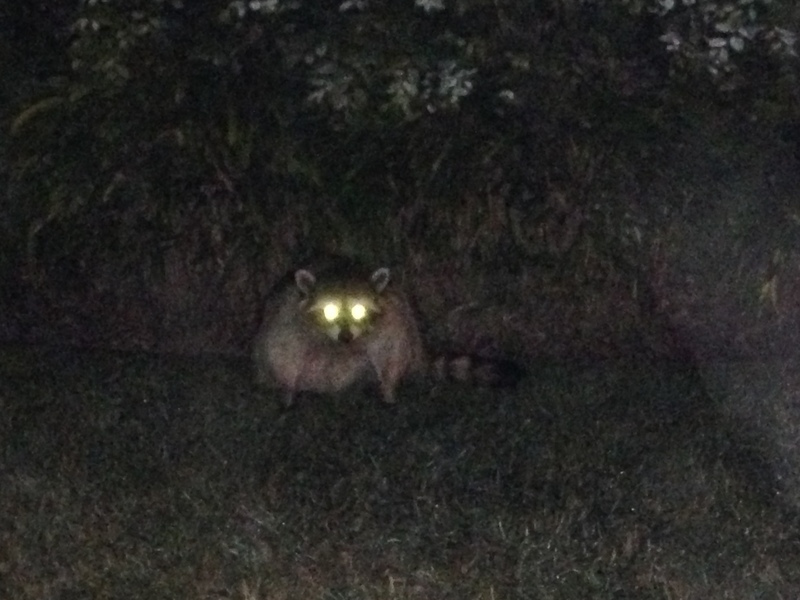 Yep, raccoons run rampant in the neighborhood and the one on the welcoming committee headed straight for the storm drain. I have never in my life seen an animal head into the sewer, but maybe this was his feeble attempt at becoming a Teenage Mutant Ninja Turtle. Karen: Good job, f—ing blueberry! The next morning, after a breakfast of healthy blueberry pancakes—yes, more blueberries—we headed out bare-faced to the Mystery Spot. And it was Friday the 13th no less! 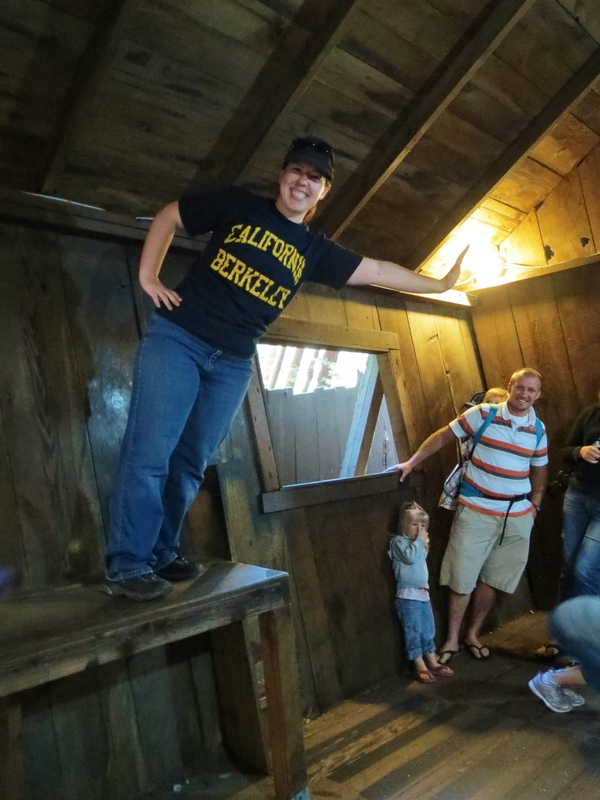 The Mystery Spot is off the beaten path and unless you have seen one of the trademark yellow bumper stickers, you have probably never heard of it. It is a strange place where people can inexplicably climb walls, billiard balls appear to roll up rather than down, and people of different heights see eye-to-eye. It’s a neat little place and one that was well worth the $7 admission fee. Plus, we got our own yellow bumper stickers. Where else can you climb a wall? Gravity is a wonder I may never understand. 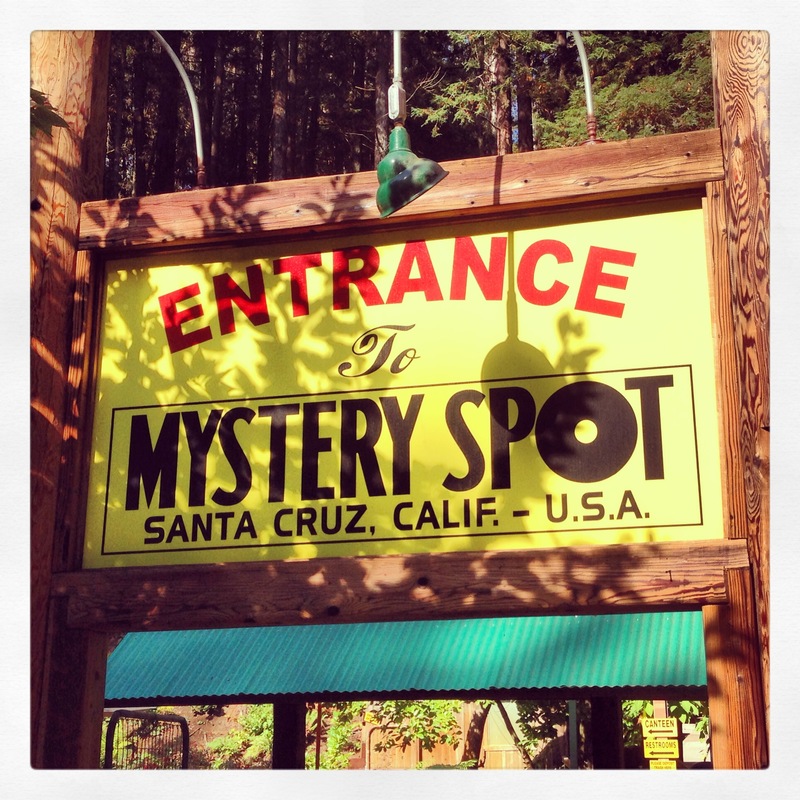 Part of me is not convinced that the Mystery Spot is a real mystery. I thought a lot of it was optical illusions, but some things just couldn’t be explained. 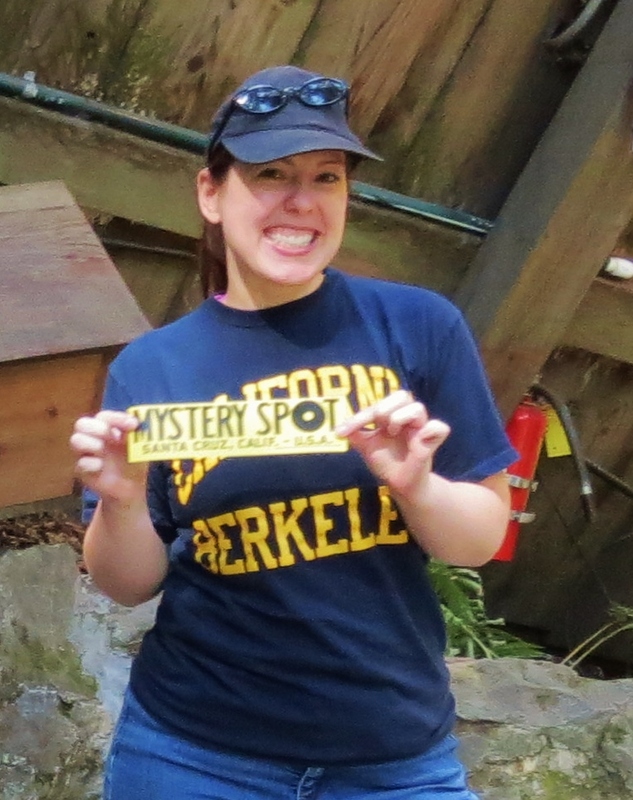 Who wants a Mystery Spot bumper sticker? I have a spare! 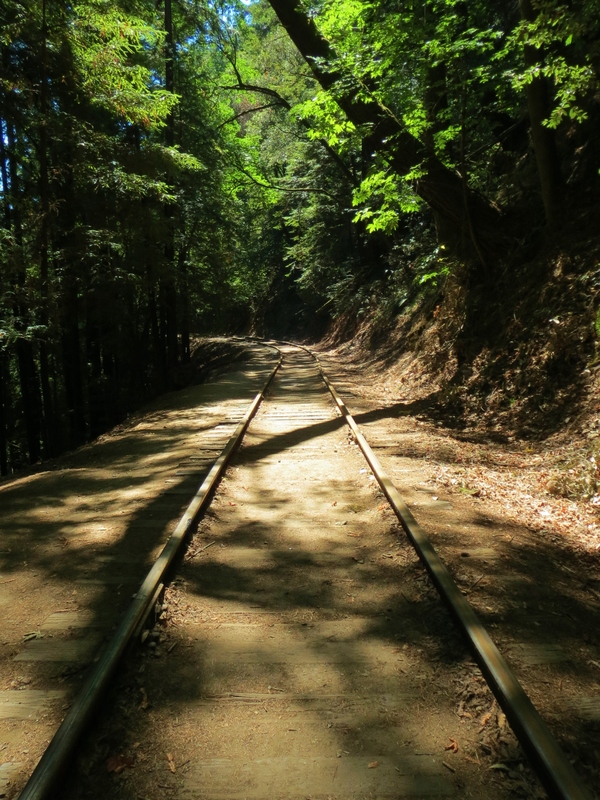 From the Mystery Spot, we headed to Henry Cowell State Park for some hiking in the redwoods. As tall as the eye could see. Gorgeous didn’t even begin to cover it. 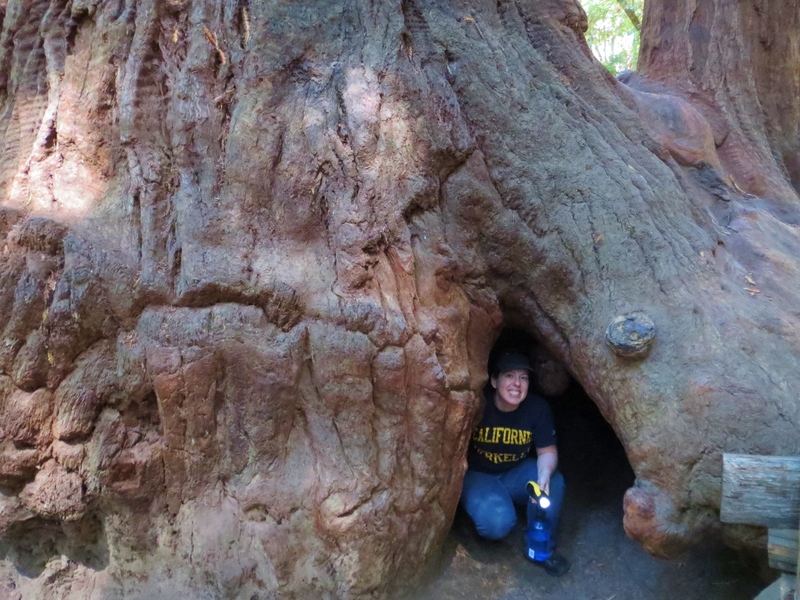 One tree was so large, you could go inside of it, stand comfortably, and even have a dance party if you wanted. 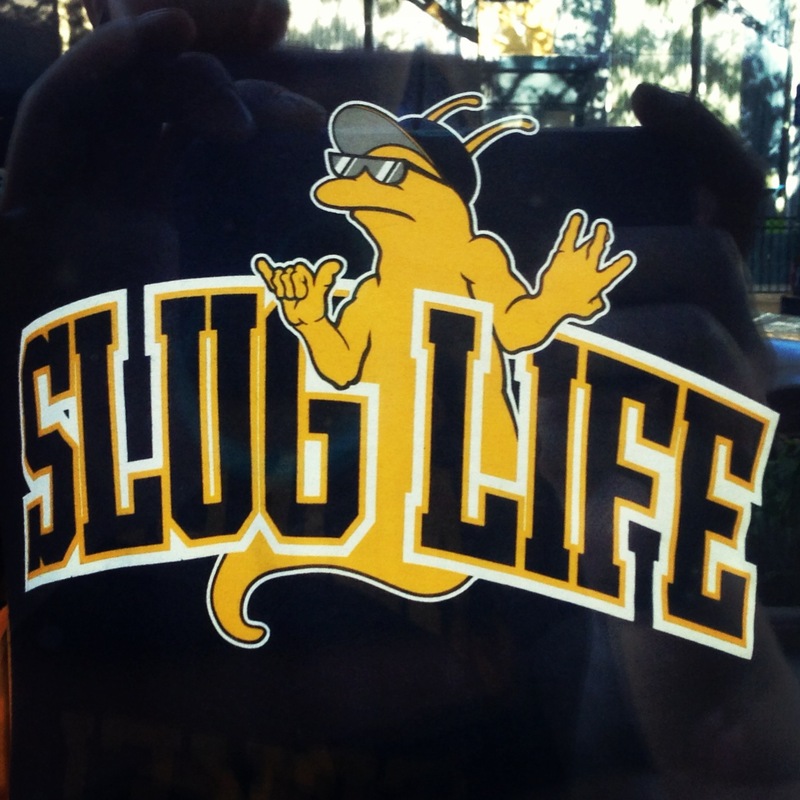 We searched and searched for the coveted and trademark banana slugs to no avail. Apparently, these bright yellow slugs, who do not taste like banana, only come out during the wetter, wintry season. 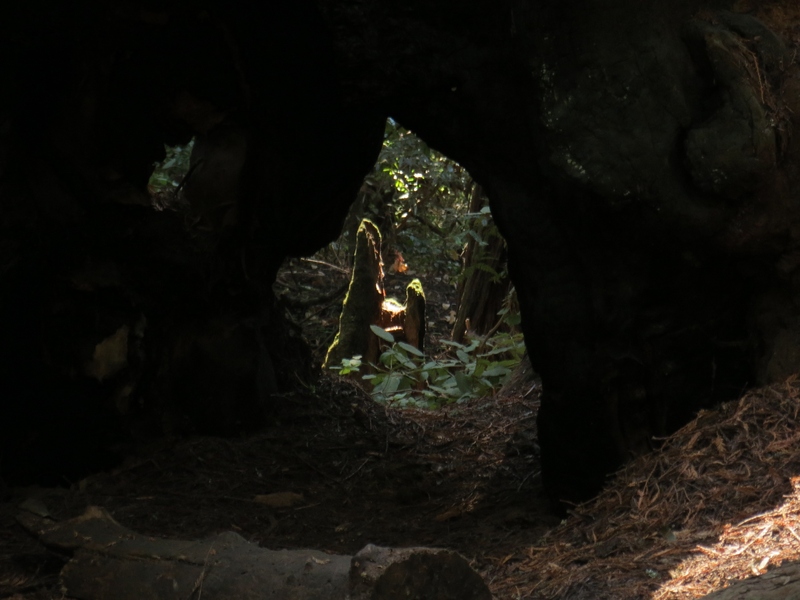 The elusive slugs evaded us that day as the weather was the perfect blend of sunny and cool. 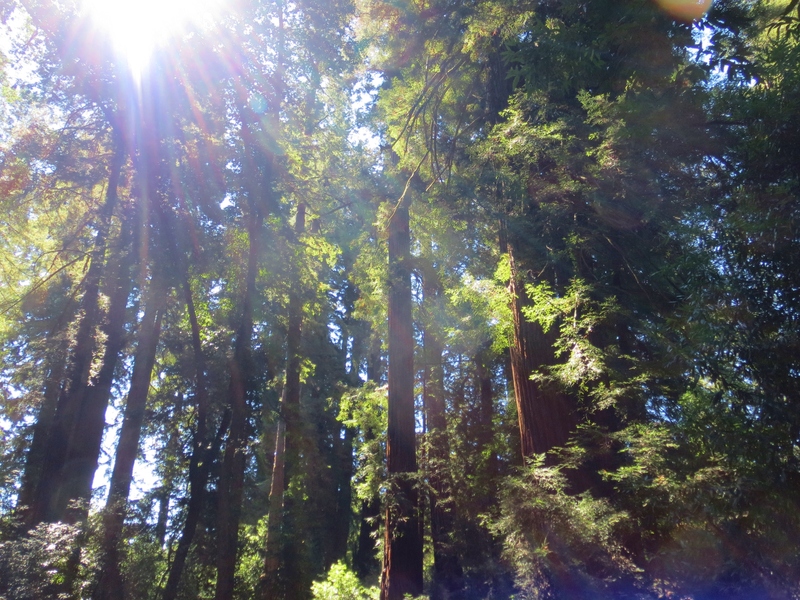 With mystery and redwoods behind us, we reverted back to our college selves and decided to paint the town red. Just like our undergraduate days, we spent hours getting ready, ensuring perfect hair and makeup, and walked downtown. Though this time, we were done after two bars and two rounds of drinks. What can I say? We don’t party like we used to because it hurts a whole lot more in the morning. One round of Irish Car Bombs was enough. 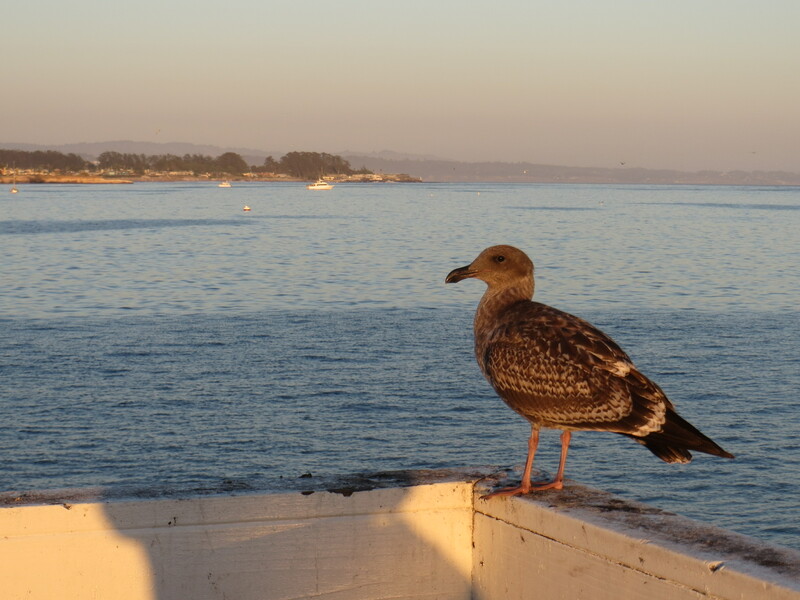 The next day, no hangovers in sight, we headed off to our next adventure: a beach day in Capitola. However, our plans changed when we got to the small beach town and found the streets crowded with pedestrian traffic and booths upon booths lining the closed-off street. 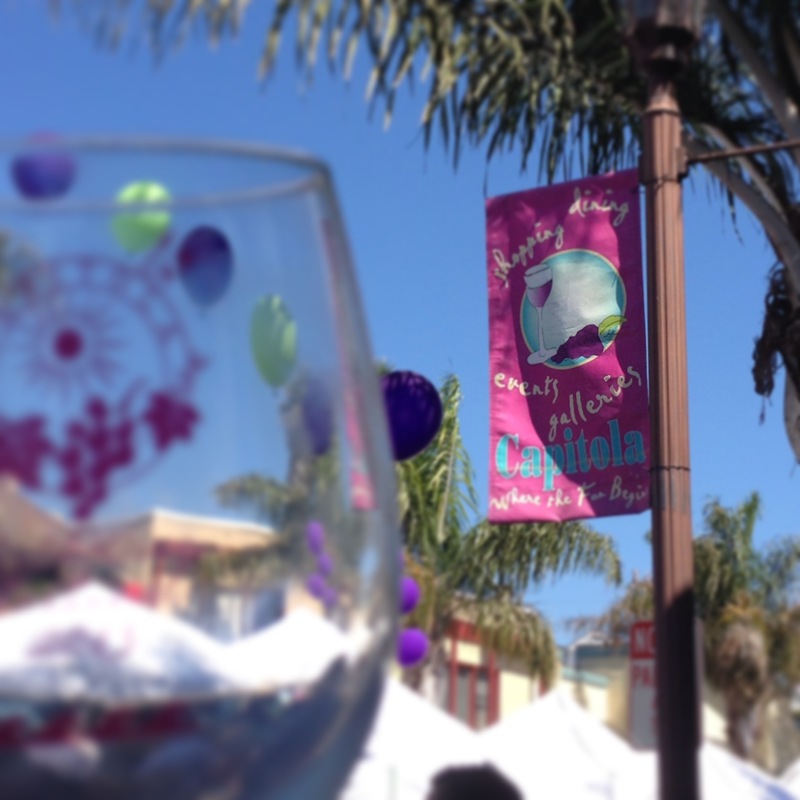 We had stumbled upon the 31st Annual Capitola Art & Wine Festival. We each paid $20 for a commemorative wine glass and bag of tokens that would allow us to get anywhere from three to six tastings (you can imagine what we went for) and took to the streets to marvel at the different art, savor the delicious foods, and sample the fermented grape juice. We had a blast and the change of plans was a welcome one. Rose, Karen, and me. 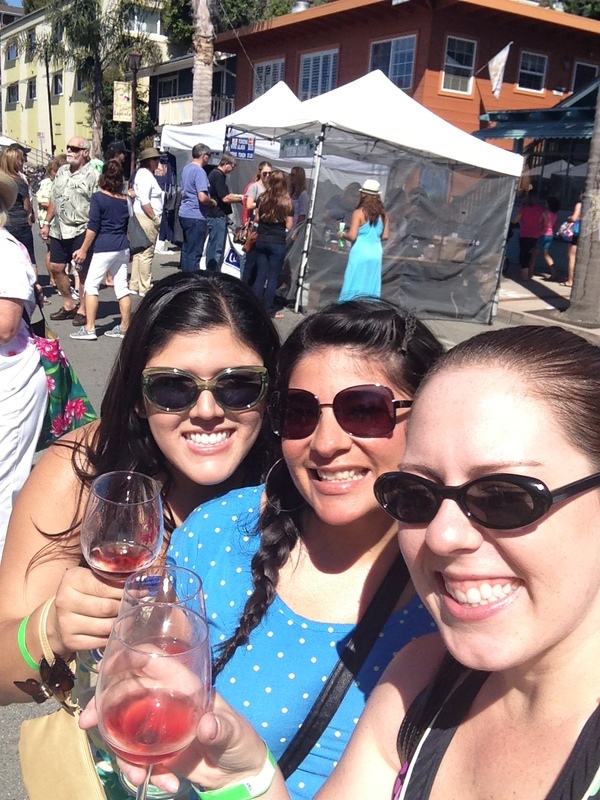 Good friends, good wine… what more could you ask for? 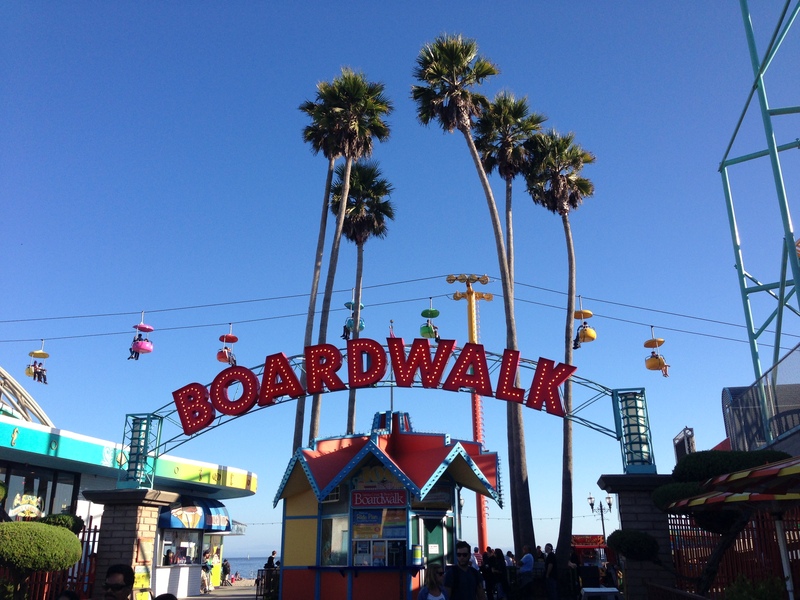 From there we journeyed to one of Santa Cruz’s famous attractions: the Boardwalk. It was like stepping through time. 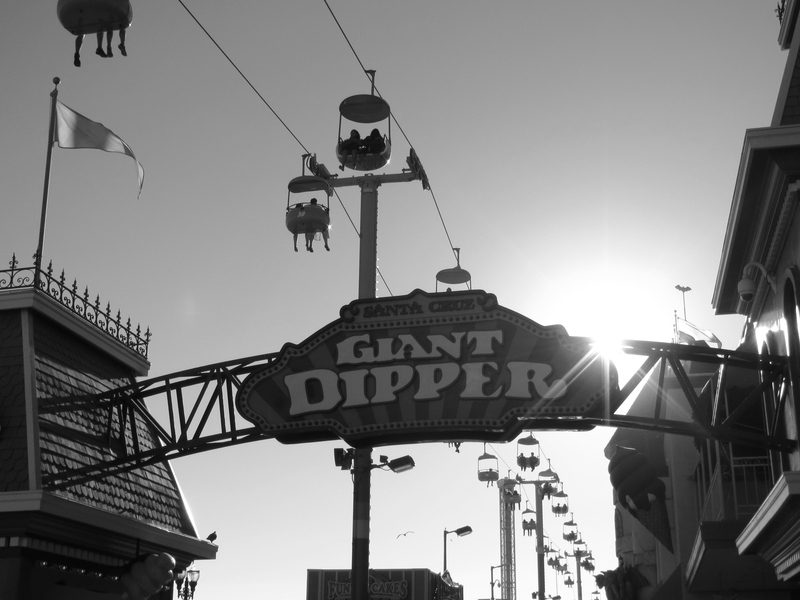 Now, I’ve never been to the Coney Island Boardwalk, but I imagine it’s very similar to the one in Santa Cruz. 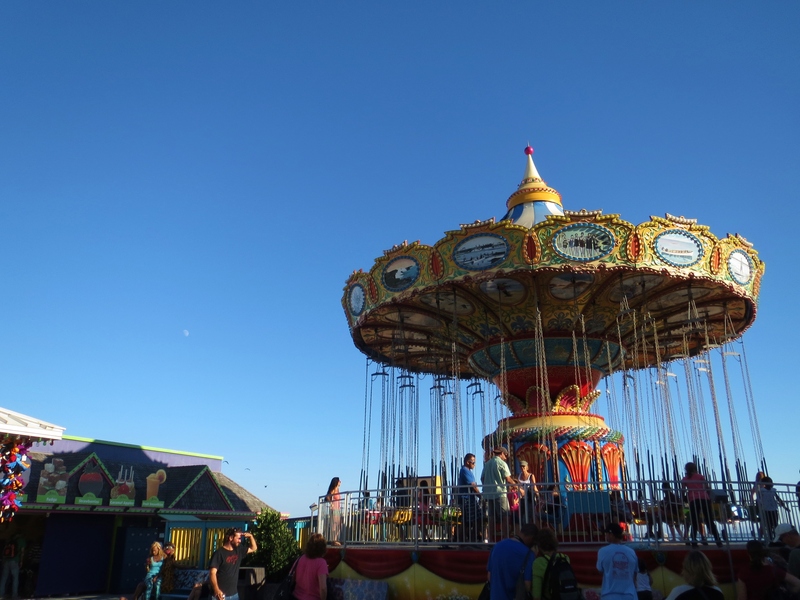 There are rides, games, and shops that can thrill you, feed you, and entertain you. It’s a delight to behold in person. 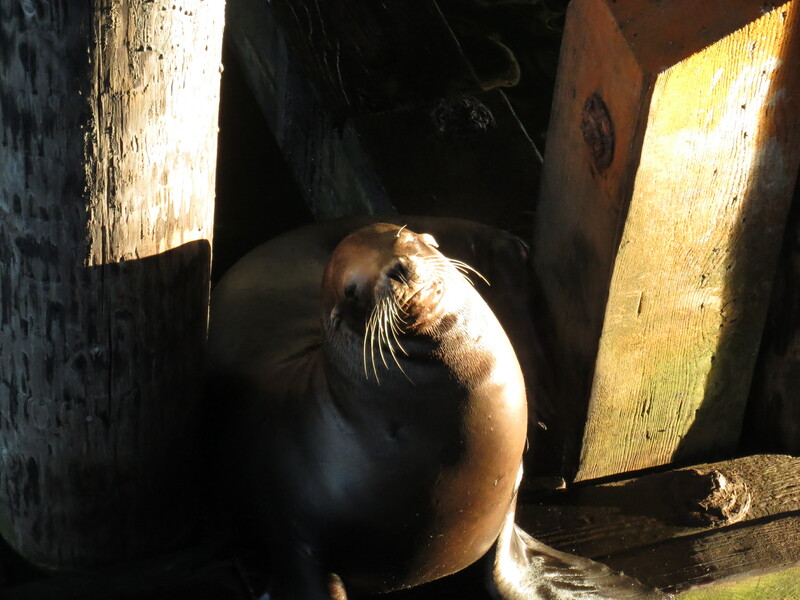 A short walk from the Boardwalk is a pier and from the end, you can view the family of seals that make the wooden planks below their home. 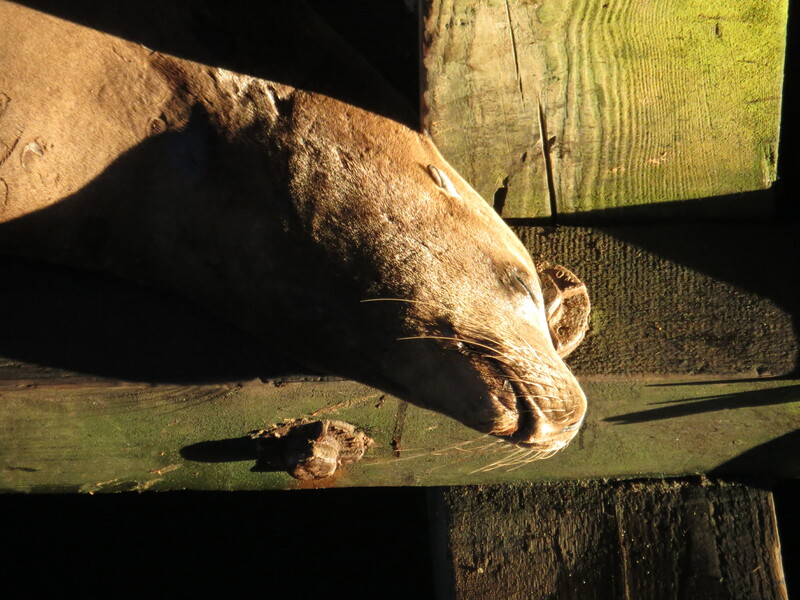 Personally, I can spend hours watching animals sleep and interact with each other. 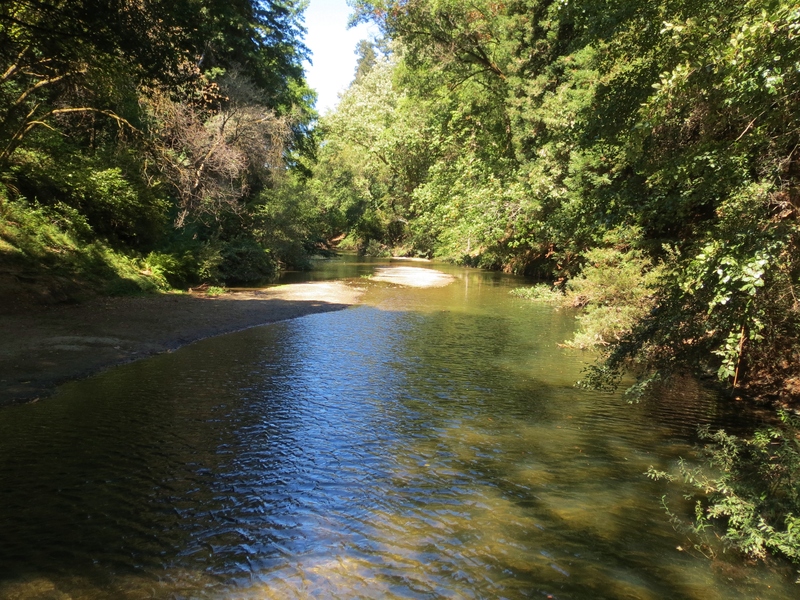 It fascinates me to no end, but the day was getting colder and eventually we had to move on. 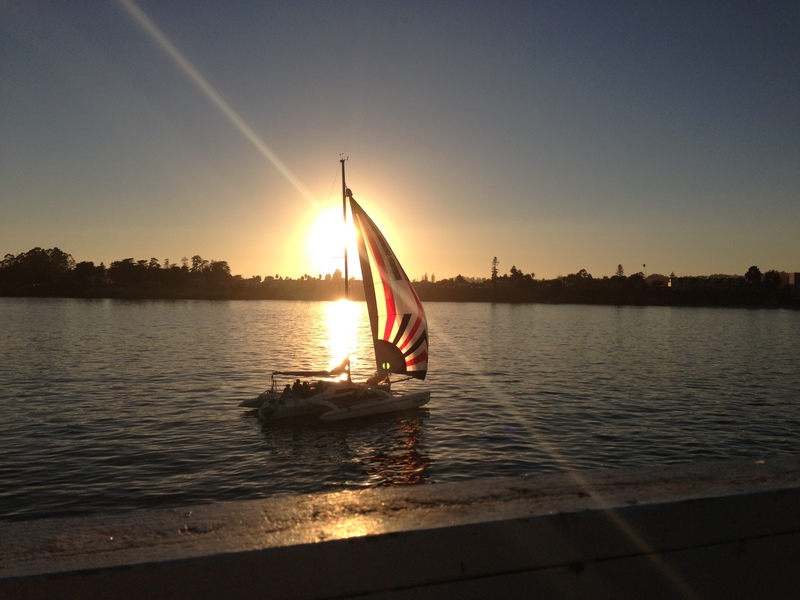 Though the weekend was short, we had a great time and it occurred to me how lucky we are. The three of us are true friends because no matter the distance or time between us, we can reconnect like we are still those silly co-eds. We are there for one another in times of sorrow and joy, sickness and health, love and heartbreak. That’s a hard thing to find in this world and I am so grateful to have Rose and Karen in my life. They are like my sisters and I love them to pieces. Now, where are we going next? Thank you so much, Dr. Mom! Love all the great pictures. Looks like a fun getaway. 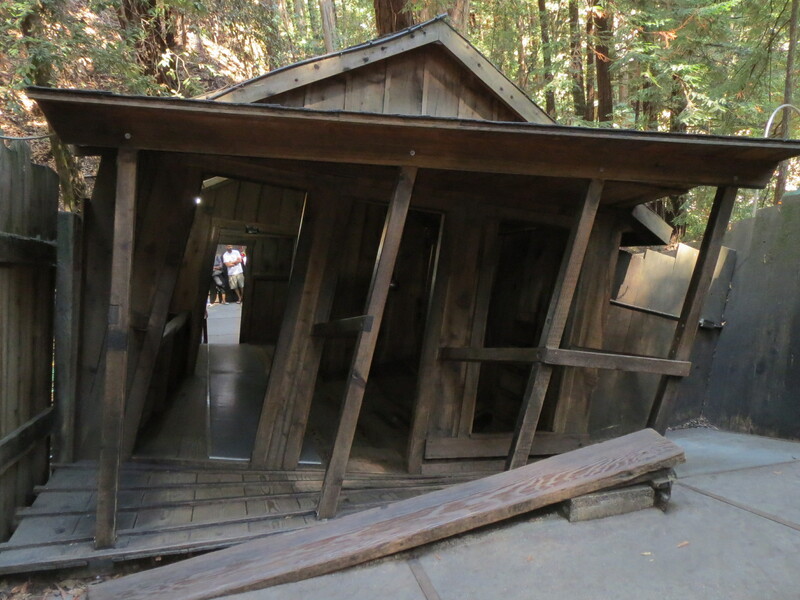 The Mystery Spot looks so cool. 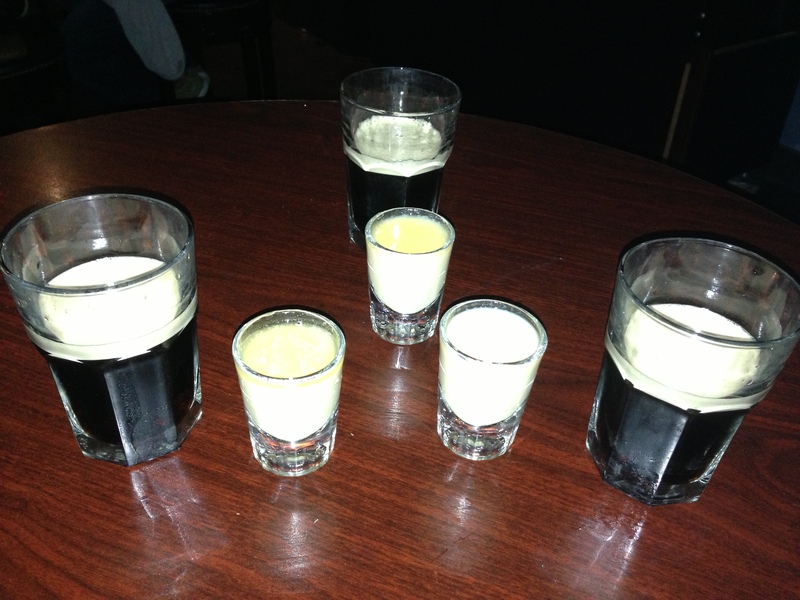 So do the Irish Car Bombs! Looks like a great trip! 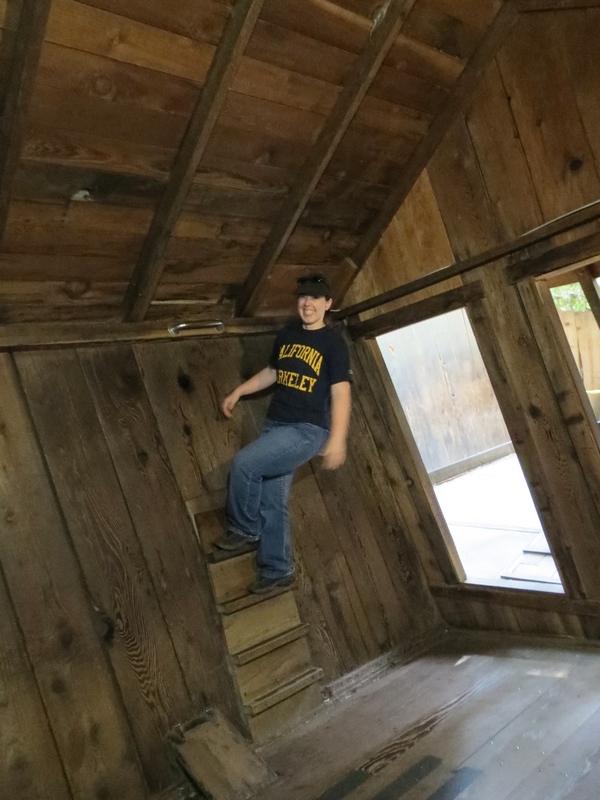 The Mystery Spot seems like a lot of fun. My guy and I went to a museum in New York awhile back that had a similar area with slanted walls and walkways. It’s a head trip!